Thursday, April 17, 8:30-10 a.m.
Join us for coffee, donuts, and good company and send the team off in style. We’ll walk the team across the street to Walwood Hall at 9:15. 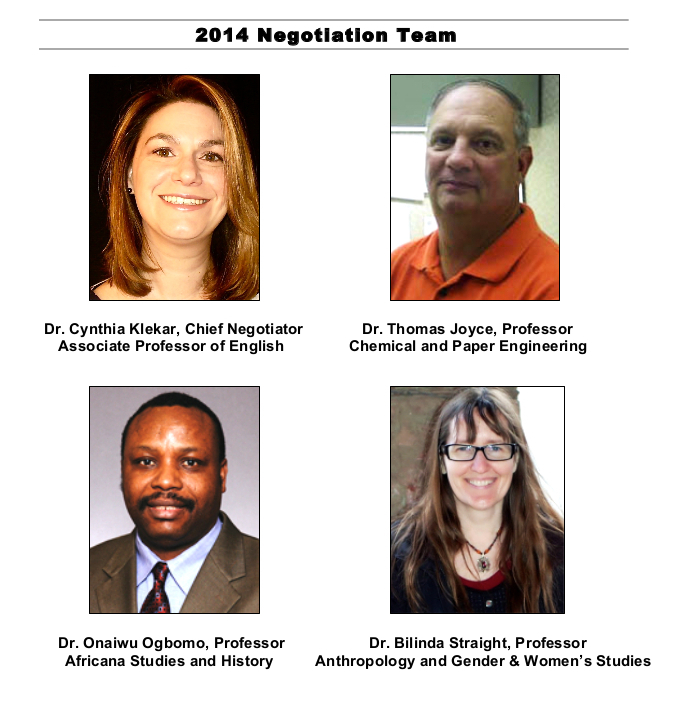 On Thursday, April 17, the Board-appointed faculty at Western Michigan University will be the first permanent faculty at a 4-year institution in Michigan to negotiate a new contract under the so-called “right to work” laws. We have an outstanding team, and they are incredibly well prepared, but our leverage is in our numbers. We need a big turnout on Thursday to support the team and make it clear that we are not playing around when it comes to our university and our professional lives. Be there. Invite colleagues. Do it. This is your future we’re talking about. 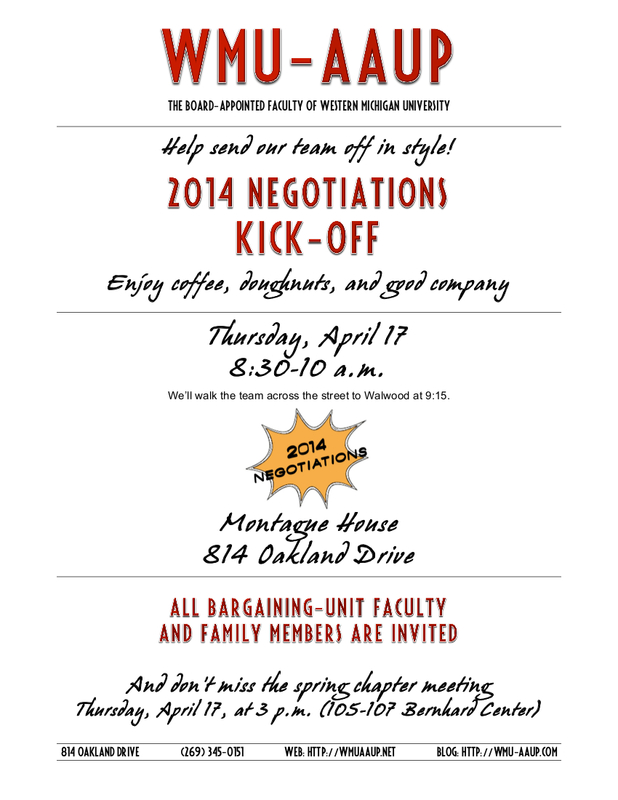 Bargaining-unit members, their families, faculty retirees, WMU students and alumni, and WMU-AAUP allies are invited. Click on the event flier below to enlarge. This entry was posted in "Right to Work", Academic Freedom, Calls to Action, Campus Events, Faculty Rights, Negotiations, News and Updates, Shared Governance by lcm. Bookmark the permalink.